Contemporary Earth and animal activists rarely collaborate, perhaps because environmentalists focus on species and ecosystems, while animal advocates look to the individual, and neither seems to have much respect for the other. This diverse collection of essays highlights common ground between earth and animal advocates, most notably the protection of wildlife and personal dietary choice. If earth and animal advocates move beyond philosophical differences and resultant divergent priorities, turning attention to shared goals, both will be more effective - and both animals and the environment will benefit. Given the undeniable seriousness of the environmental problems that we face, including climate change and species extinction, it is essential that activists join forces. 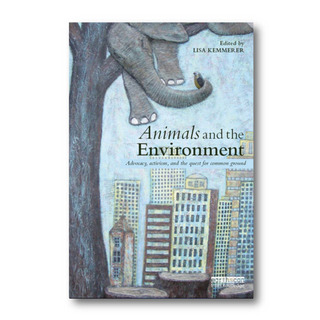 Drawing on a wide range of issues and disciplines, ranging from wildlife management, hunting, and the work of NGOs to ethics, ecofeminism, religion and animal welfare, this volume provides a stimulating collection of ideas and challenges for anyone else who cares about the environment or animals.